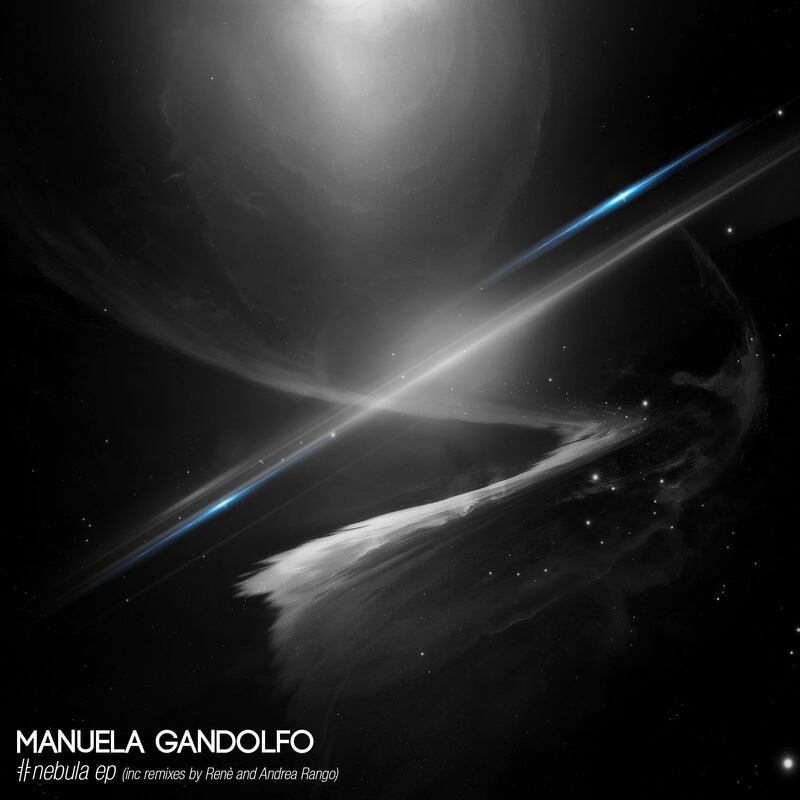 Manuela Gandolfo’s new release, Turin-born artist, currently living in Ibiza, is an EP consisting of three tracks: ‘Nebula’, ‘Fly Away’ e Under Shape’ with two remixes made by Andrea Rango for ‘Nebula’ and Renè for ‘Fly Away’. ‘Fly Away‘ was born in 2015, immediately after Manuela father’s death and is dedicated to him. Renè, a close friend and colleague, who shared the same experience, realized the remix, proposing an excellent deep house groovin’ track. The singer in this track is Lou Daya, that with her deep voice has perfectly targeted Manuela’s goal of transmitting her emotions in composing this piece. An intense song with dreaming atmospheres, sometimes dark, but expressing a sense of infinity, with a sweet melody accompanied by a soft and sensual voice, that sings emotions like a light breeze. In ‘Nebula‘, Manuela imagines herself looking at sky and clouds that cross it, as if it were a limit to another world. A track with tech-house sounds, an engaging rhythm, deep atmospheres and old school vocal samples. Andrea Rango propose a house remix, with a hypnotic groove and really original vocal and sax. ‘Under Shape‘ tells us about the daily life, which imposes rhythms that we face bringing emotions that we cannot show, but that an artist like Manuela can express through her productions. A tech-house track with an interesting and original structure, vocal and synths with 90ies flavour, powerful bassline.